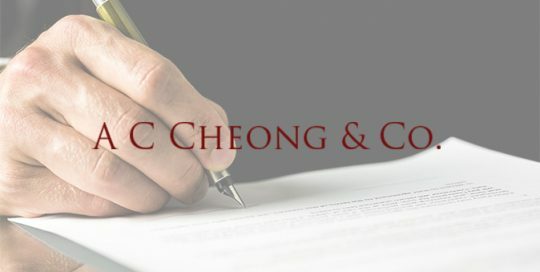 Civil – AC CHEONG & CO.
Court Coram: Choo Han Teck JC Counsel: Gn Chiang Soon and Sivakolunthu (Gn & Co) for the plaintiffs; Cheong Yuen Hee and Cheong Aik Chye (instructed counsel) with Govinda Gopalan (Lim & Gopalan) for the defendants.Up Subject Area / Catchwords Civil Procedure … Remarks: A case on civil procedure. Judith Prakash J Counsel: Gn Chiang Soon (Gn & Co) for appellants; Cheong Yuen Hee (instructed), Govinda Gopalan and Cheong Aik Chye (Lim & Gopalan) for respondents. Up Subject Area / Catchwords Tort – Nuisance – Private Nuisance – Fire damage – Fire … Remarks: A case on nuisance. A Strata Titles Board case where our client succeeded in claiming for all damages and costs from the defaulting subsidiary proprietor for inter-floor water leakages.